The Fluke 77 is an all-round performer. 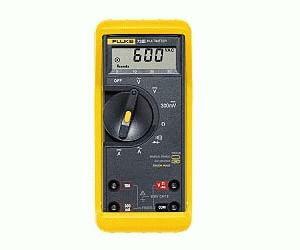 In many years of service it and the Fluke 73 have become the preferred models for a large number of professionals. The Fluke 73 and 77 offer exactly the right fit for a wide range of measurements. They are truly all-round performers. The 77 III has all the features and functions for a wide range of industrial applications packaged in an ergonomic case with integrated holster. Both models come with the unique lifetime warranty.